I hadn’t heard of the Minnesota Wild Kids Event Series until a few days ago, and I’m a little bummed I just now found out about it! This series is open to kids 10 and under and featured three exclusive events. The first two have either passed or sold out, but the third one is still available – an open Minnesota Wild Practice on February 16th! Tickets are $5 and include admission for one child + one guest of any age. 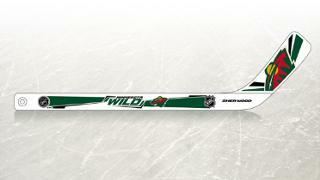 Practice starts at 11:00 a.m. with doors at 10:30 a.m.
All kids will receive a Minnesota Wild Mini Stick upon entry. You’ll need to buy your tickets online in advance (via Ticketmaster) to reserve your spot. TRIA Rink at Treasure Island Center is located at 400 Wabasha St N in St. Paul.